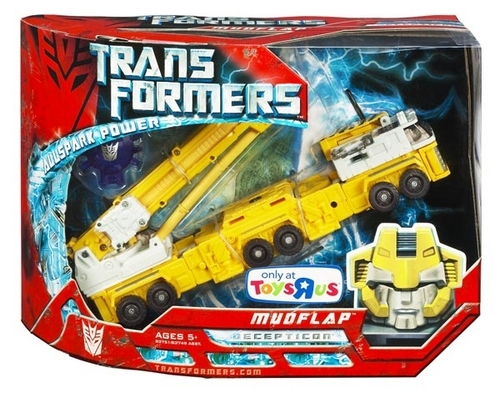 MUST HAVE EXTREMELY YELLOW ROBOT MUDFLAP!!! How often do you seem me get excited about a repaint? But man oh man... there's something about this yellow Mudflap that says "You will buy me and you will lick me all over and you will love me because of my intense insane yellowness and the rest of the world will hate us but you and I will make happy gay robot love with Botcon Hot Rod" or something like that. My eyes... My eyes are burning... Argh!!! Argh, Rhinox! You beat me to my brilliant and witty comment! I saw this photo on ACToys earlier and couldn't even place the original mold, because I couldn't see past the Erector resemblance. This page contains a single entry by Nala published on April 16, 2008 4:27 PM. Yay for Mark 1! was the previous entry in this blog. Another afternoon with the goathead tunes and pilfered booze. is the next entry in this blog.